Valentine’s Day is universally celebrated in different parts of the world, lovers give each other gifts, send valentines, confess their feelings … The magic of Love seems to be in the air and the winter day on February 14 magically becomes a real spring holiday! Your care for your beloved can also be expressed in a culinary gift – for example, to prepare for breakfast on Valentine’s Day and bring him to bed, the morning awakening to the scent of fragrant coffee will leave few people indifferent. And you can arrange a romantic dinner with candles for a glass of sparkling wine. I suggest that you prepare Tiramisu today – a very airy, gentle Italian dessert, with an amazing contrast of sweet creamy cream and a bitter taste of strong coffee. However, it is useless to explain what Tiramisu tastes like, it’s just worth a try. 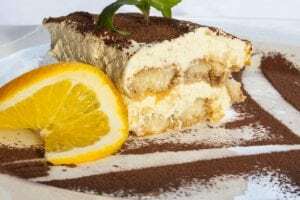 The recipe for classic Tiramisu includes: cream cheese Mascarpone, chicken eggs, espresso, sugar and Ladyfinger (biscuit), on top, dessert is usually sprinkled with cocoa powder. There is still a version of what it means to “cheer me up”, but more often the name “Pick me up” is associated with the version that Tiramisu has a kind of invigorating, exciting effect and that the Italian grandees ate this dessert before loving dates. Classic Italian dessert tiramisu is a delicate treat for all lovers of sweet. Try to cook our unusual version of tiramisu with lemon notes. 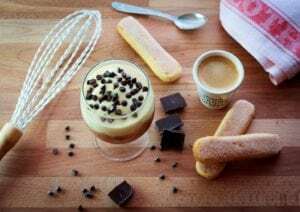 To make the tiramisu work well, the main thing is not to overdo the Ladyfinger (biscuit Savoyardi) cookies in the impregnation, otherwise the dessert will flow, the best option is to dip the biscuits in impregnation for one second. You can prepare this delicate dessert as in separate small forms or glasses, and in one large. Remove the zest from the lemons, and from one squeeze the juice. Separated egg yolks from proteins. In a separate bowl, whisk yolks and a half of sugar to white, then add mascarpone and whisk for another 2-3 minutes. Add lemon juice and zest, whisk a little more. In another bowl, whisk to a strong foam proteins, adding 2 tbsp. l. sugar and salt, then very gently interpose them in the mass of yolks with mascarpone. In a suitable container, mix the remaining sugar with limoncello, lemon juice and lime until the sugar is completely dissolved. Dip the savoyardi into the resulting syrup and spread it into a mold, then a uniform layer of cream, and so before filling the mold. The last layer should be a cream. Evenly sprinkle the dessert through a cocoa mesh powder and take it to the refrigerator for 6 hours.